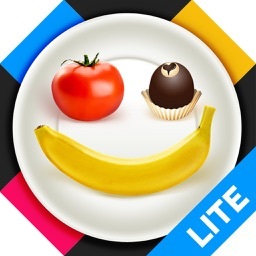 Eat What Lite with label scanner - scan your food! With the pressures of the modern lifestyle, it is easy to fall prey to poor nutrition leading to many lifestyle diseases. As the world has gone global, so has the food that we eat. Many a times, we don’t even know what’s going in our stomach, as there is no time to read the labels or research the thousands of ingredients available in the market. 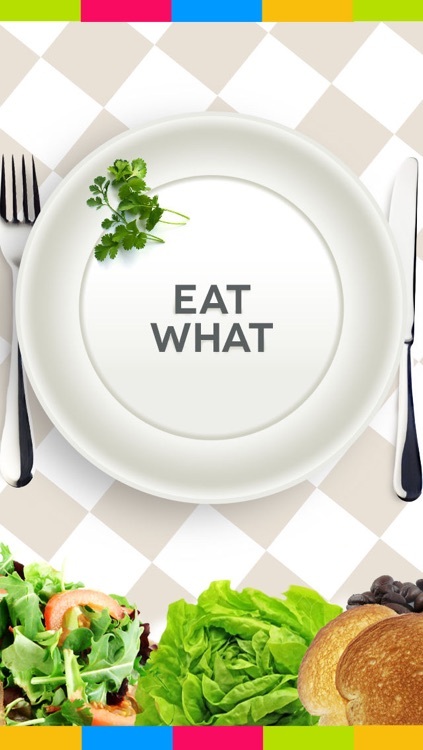 Eat What app has been designed to ensure you eat only the best and know what you eat. With the new barcode scanner feature, you can quickly scan any food label and know exactly how it affects your health and diet. 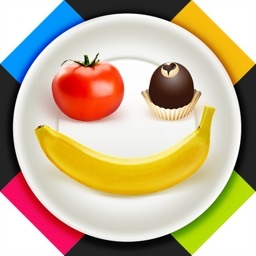 Eat What app comes loaded with many more features to help you monitor your food and your family’s health, simply by touching a few buttons. 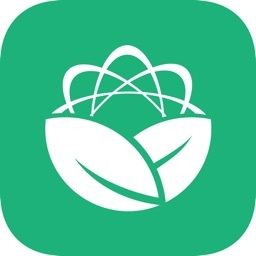 - Ingredients database – Updated weekly, Eat What offers an ever-growing database of ingredients from across the world. Now, there’s no excuse to eat unhealthy. 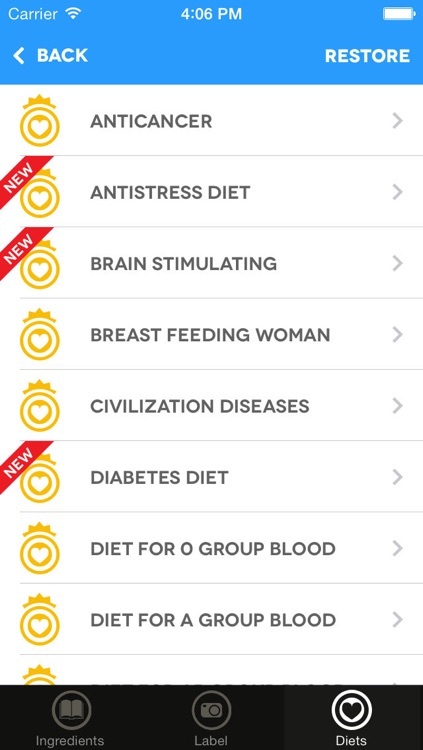 - Diet Store (nutrition profiles) – Scan your ingredients and prepare your own special diet or buy a diet from Eat What Diet Store to achieve optimum health and nutrition level. The diets are designed by expert dieticians taking into account your health condition, age and other preferences. 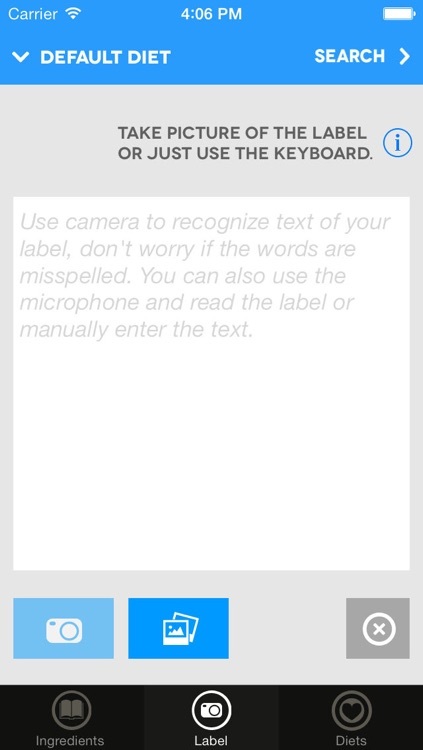 - Speech Recognition – No time to scan? No worries – just read out the ingredients on the go or update your dietary requirements verbally, to check whether the food you are going to consume is fit for you or not. - Latest food news – Staying updated is always beneficial. That’s why we bring you weekly food news, sharing new facts and discoveries from across the world. 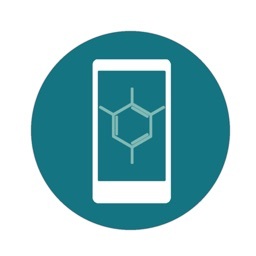 - OCR - you can check the nutrient content of the food by taking a picture of the ingredient label on the package. The OCR will scan the list, and you can ascertain whether the product meets your diet requirements! 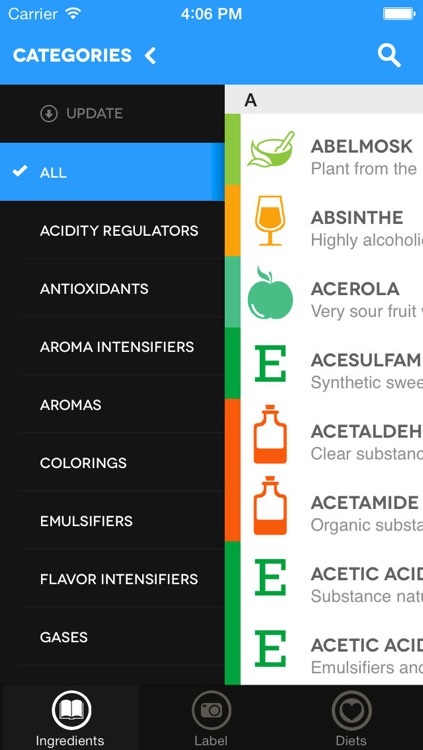 What's more, you can also read the ingredient list out to the app or type the ingredients out into the app. - Care to Share – It is always good to spread healthy ideas. 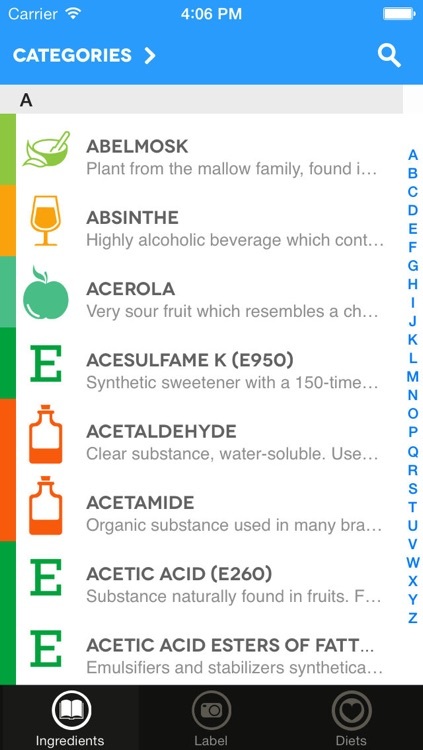 Share the information about your ingredients on Facebook through Eat What app.